I found Do It Yourself Storage when I was looking for a storage facility that could protect my temperature sensitive equipment from the elements. After comparing rates at local facilities, I found DIY Storage to have very competitive rates with outdoor facilities so choosing DIY Storage was a no brainer. My items stayed protected, the facility was always clean, and the customer service was outstanding. I would recommend DIY Storage to anyone. I was looking for storage for musical instruments during a move. Due to the value of the instruments, I absolutely needed a secure, climate controlled facility. Fortunately I came across Do-It-Yourself Storage in Dandridge, which has indoor, climate controlled storage units and excellent security that gave me peace of mind. I have moved all over the south, using several storage facilities along the way and this one is head and shoulders above any other I've used. The automated rental process is easy and live customer service is available if needed. 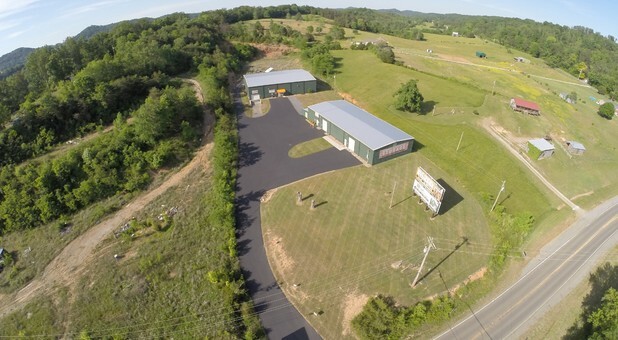 If you are looking for a clean, secure, climate controlled storage facility, this place is it! Kelley Hinsley, President Heartland Title Services, Inc.
Heartland Title Services, Inc. can fully endorse the clean, secure facility operated by Do-It YOURSELF STORAGE. Always courteous and accommodating. The high tech system they have for access control and monitoring is state of the art and makes for a trouble free access at all times.